Try it yourself. Type here. Unfortunately, your browser doesn't support this format yet, so you will see Bixa Color in plain old black. Scroll down to read about when support is coming to your browser. This free version of Bixa Color is available as OTF and WOFF in the colors you choose, and is free for use in non-commercial projects. Looking for a different format, a license for your commercial project, or a custom version composed of the many other layers in the Bixa family? See here! Bixa Color is a normal OpenType font. 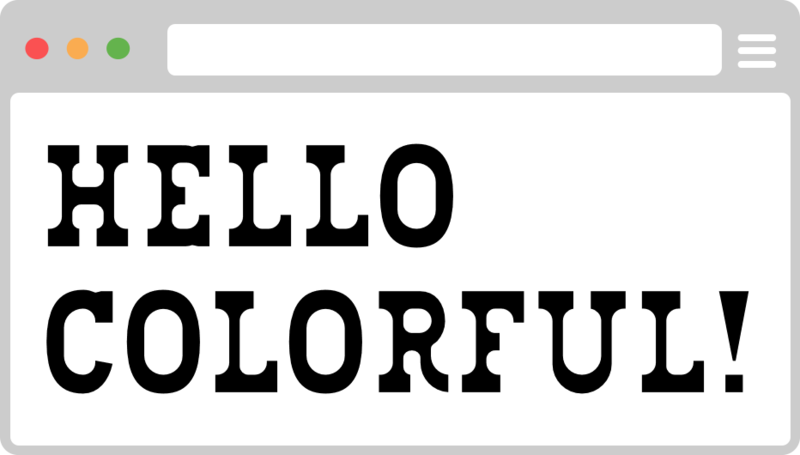 In 2015, OpenType added a new standard that makes color glyphs possible. This is what Bixa Color uses. Make no mistake: it's bleeding edge technology. Browser vendors are still busy implementing this new standard, and Firefox is the first browser in the wild to actually support it. 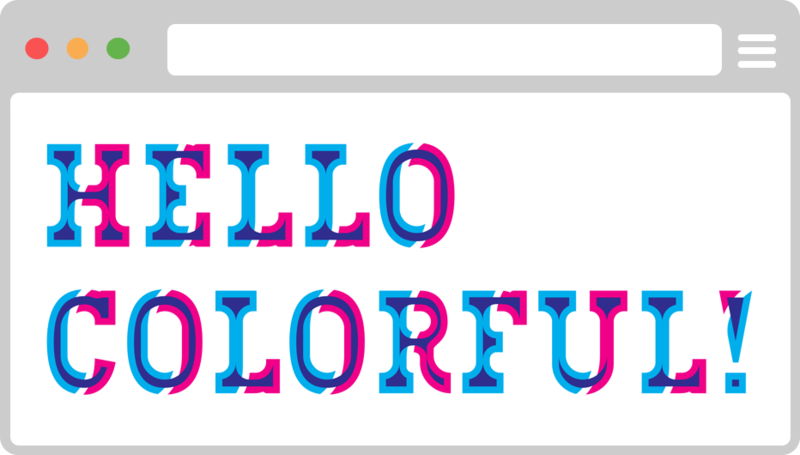 Other browsers simply get normal, singlecolor glyphs. In other words: Bixa Color won't work everywhere just yet. But for those early adopters that want to experiment with the color font technology of tomorrow, Bixa Color is ready for you! The free download of Bixa Color is just one of over 200 layer combinations. The full Bixa family comes in a plethora of combinations, and is available as customized SVG-in-OpenType color font, or as normal singlecolor fonts so you can stack them yourself. Do I need a separate font for every color?No, you get one single font file which has all the color glyphs in it, along with your trusty old normal glyphs. Do I need to create layers in my content and stack them on top of eachother?Nope. Just write and publish your text like you're used to. The layers and stacking is all taken care of by the font itself. Aren't these file super huge?Well, that depends on your definition of super huge. In the case of Bixa Color, the color glyphs will add about 30kB to the regular font file. What happens in browsers that don't support color fonts?They get the normal, super well supported singlecolor glyphs that are also contained in the font. More tech questions? Hit up @PixelAmbacht on Twitter or read up on the technical back story. Get in touch with the type designer and stay up to date with chromatic fonts by following Novo Typo on Twitter or Facebook, or visit the site to read the Bixa/Typewood story.